Samsung on Friday appeared to accidentally release an intro video for its upcoming Galaxy Note 9 smartphone. 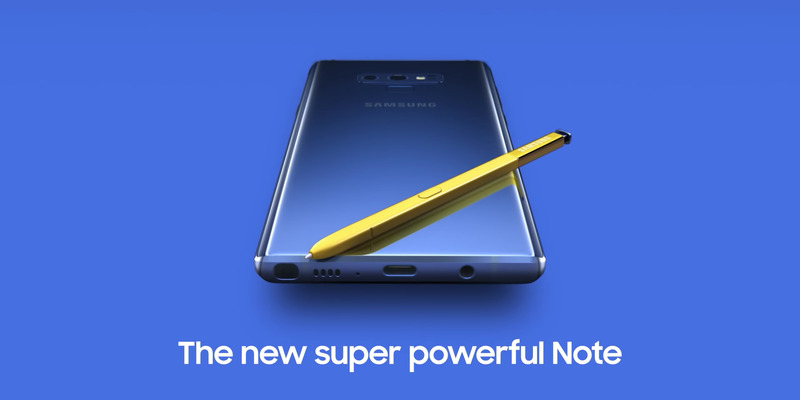 The video seems to confirm one of the colour options for the new phone – blue with a yellow S Pen. One of the storage options has been revealed as well: 512 GB with the option to add a 512 GB microSD card for a total of 1 terabyte of storage. Samsung just accidentally leaked details about the Galaxy Note 9, less than a week before it’s set to unveil the new phone. On Friday, SamMobile spotted an intro video that had been uploaded to YouTube by Samsung New Zealand. The video reveals the design of the upcoming Galaxy Note 9 smartphone, along with a few details about the phone’s internals. The video has since been removed, but you can still find versions of it on YouTube. The video seems to confirm that the blue version of the Galaxy Note 9 will come with a yellow S Pen, a feature that leaker Ice Universe tweeted out last month (the phone will also come in black, brown, and purple, according to Ice Universe). The video also tell us that not only is Samsung planning a 512 GB Galaxy Note 9, but the phone will also support a 512 GB microSD card. That means the Galaxy Note 9 will get up to 1 terabyte of total storage.